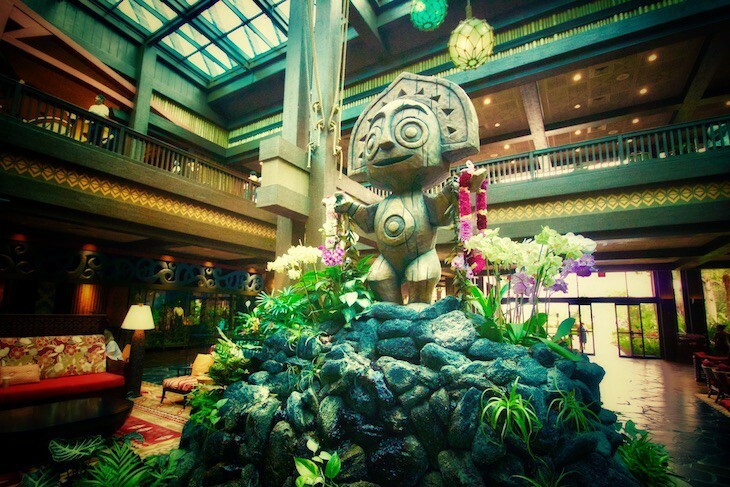 Along with a warm aloha and a lei greeting guests are invited to enter the South Seas environment of the Great Ceremonial House, a green oasis sheltering the front desk, shops, and restaurants. 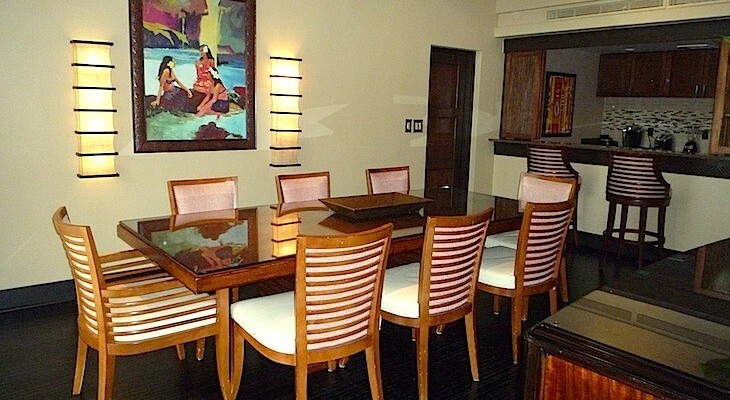 Rattan and cane chairs and sofas with striking cherry red cushions and textiles sit on floors of polished flagstone. 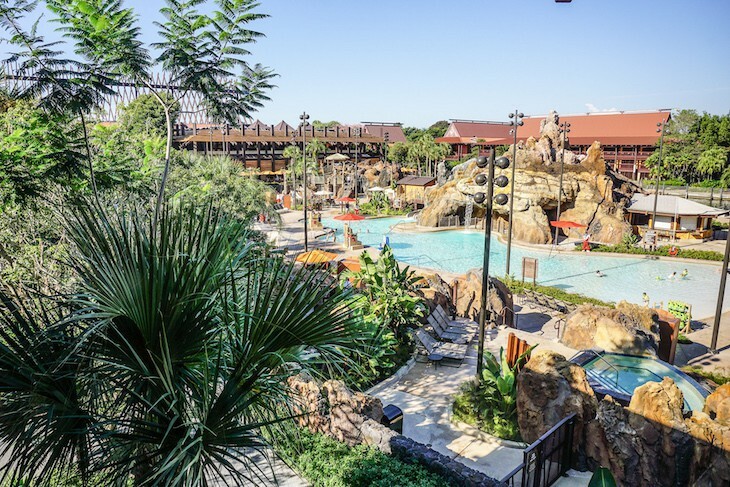 Two-story picture windows draw the eye outdoors to the lush landscape surrounding the Volcano Pool and the Seven Seas Lagoon beyond. 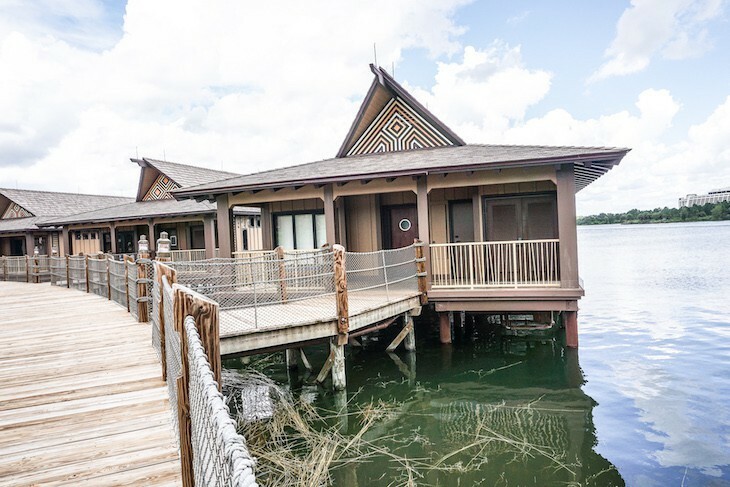 Located on the monorail system and within walking distance of the Transportation and Ticket Center, Disney's Polynesian Village Resort is the most convenient of Disney’s resorts with direct access to both the Magic Kingdom® and Epcot®. Cast members here are some of the friendliest at any of the Disney resorts, and you'll feel immersed in the South Pacific with soft Hawaiian melodies and torch-lit grounds pretty much everywhere you look. Lodging is in tangerine and mahogany tinted longhouses scattered throughout the luxuriant grounds composed of more than seventy-five species of dense vegetation. Ducks and ibis roam the thick grassy lawns and rabbits hop along meandering pathways lined with volcanic rock. 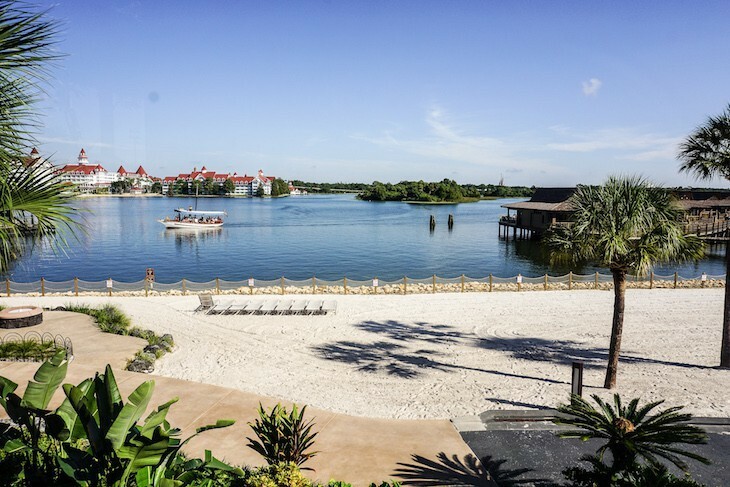 Three white-sand beaches, dotted with a few lounge chairs and swings, are a spectacular place for sunning or a perfect perch for the Magic Kingdom fireworks. 847 rooms. 1600 Seven Seas Drive, Lake Buena Vista, FL 32830; 407-824-2000; Fax 407-824-3174. 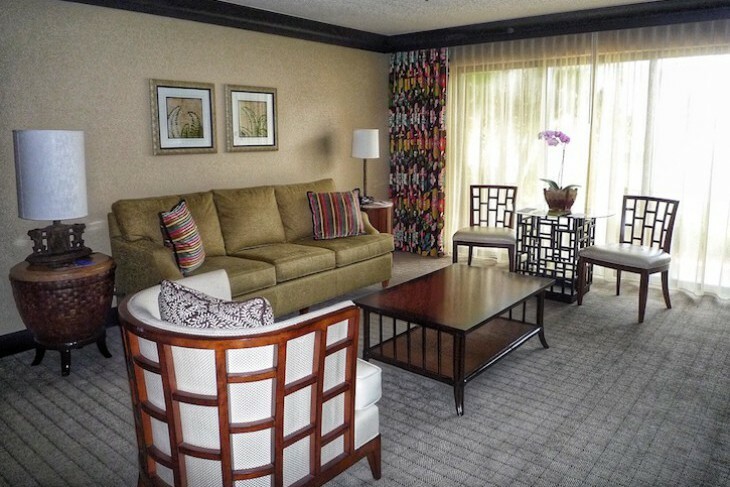 Check-in 3 p.m.; Check-out 11 a.m.
Love the textile lamp shade and native art. This bi-level club has fantastic views of Cinderella's Castle and the Magic Kingdom fireworks\. 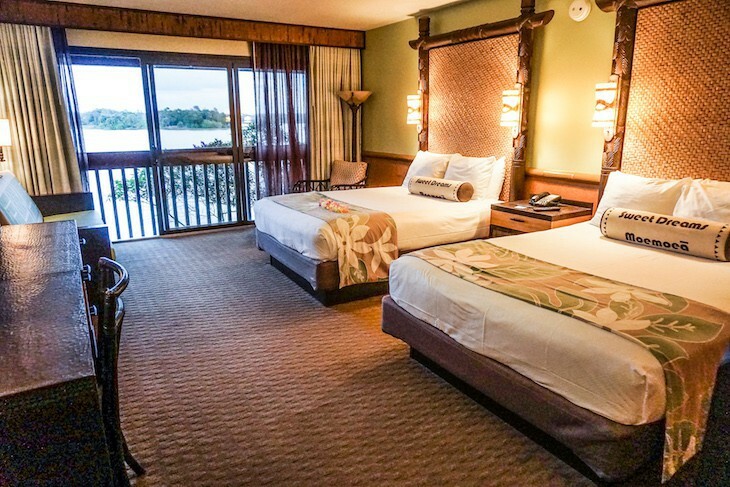 Some of the largest standard rooms in Disney with around 400-440 square feet are here at Disney's Polynesian Village Resort. 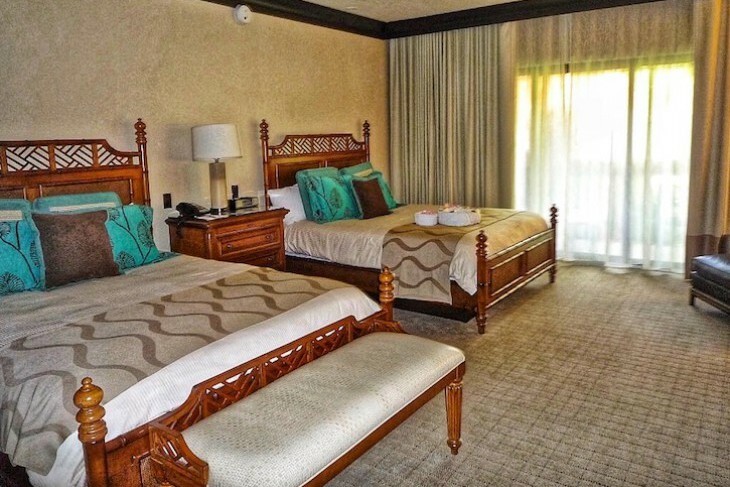 Guest rooms are light and fun with celery-tinted walls and bamboo wainscoting, taupe carpeting, and furnishings that are a mixture of dark and blond wood. Two queen beds with bamboo bed frames are the norm along with fitted white comforters, "Sweet Dreams" bolsters. 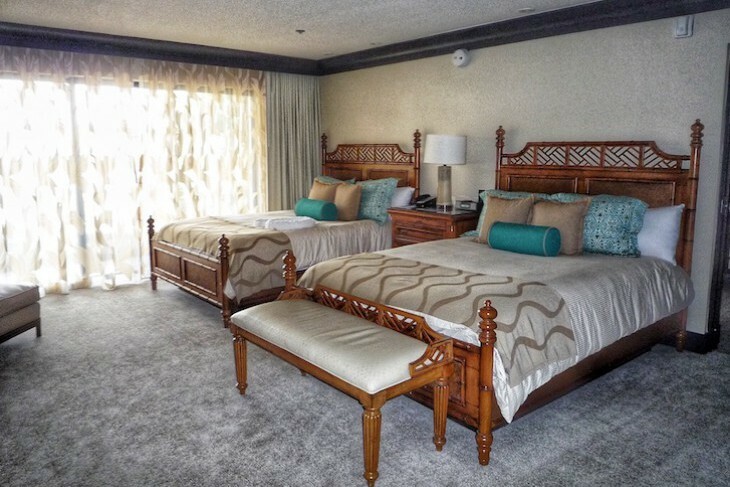 A few rooms come with king beds (on request only) which makes for a larger sitting area. 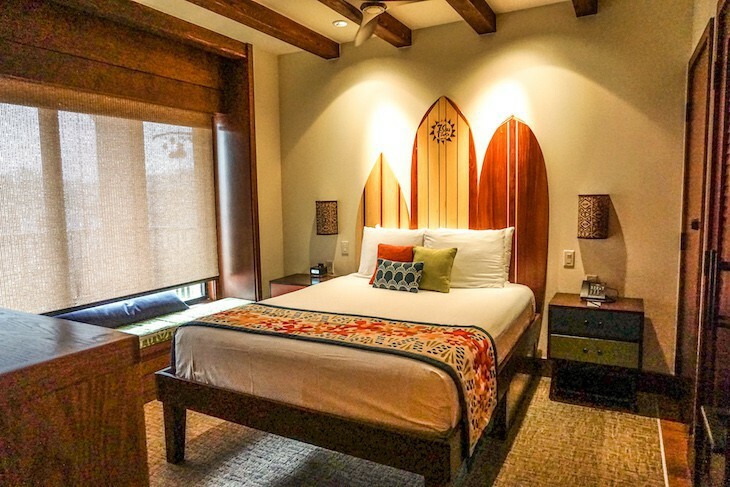 Running the length of the wall opposite the bed is a bamboo bureau attached to a vanity/desk atop which sits a built-in 39-inch LCD flat-panel TV and a tiki god lamp. 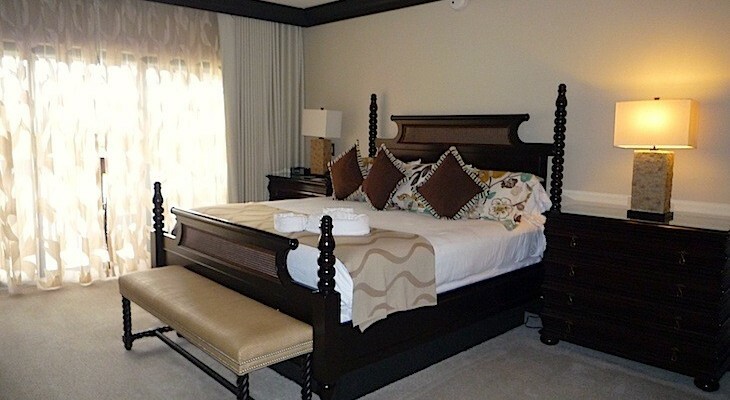 Many rooms also offer a carved, flip-over daybed, and all come with a rattan chair and ottoman. In the entry are built-in closets with reed motif etched glass paneling that feature a marble-topped bar with an undercounter refrigerator, coffeemaker, and electronic safe. Plenty of drawer and storage space, but walls are thin here so be prepared to hear noise from the adjoining rooms, and pillows are in need of replacement. Amenities include an iron and ironing board, full-length mirror, dual-line phones, and daily newspaper. 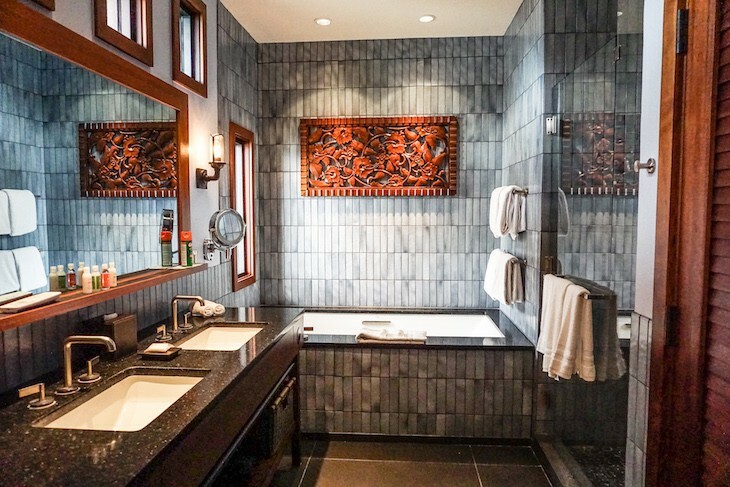 Baths have frosted glass doors, double sinks, and larger vanity counters in a man-made granite resembling lava rock, although don't expect to find any additional shelving under the counter. 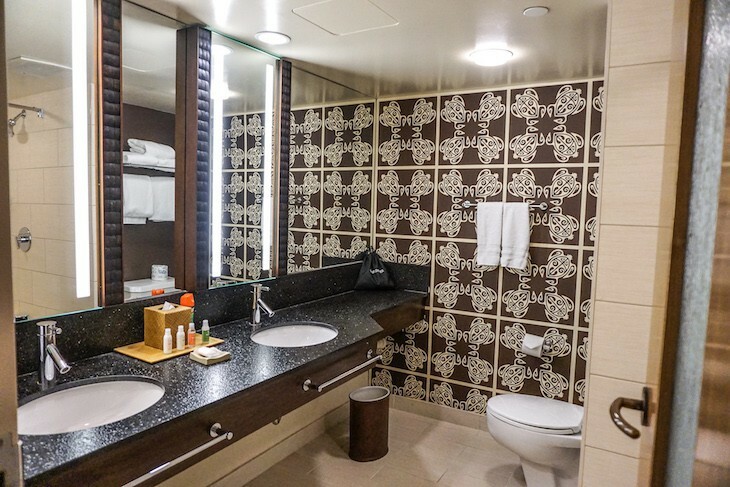 Although without a separate commode area, the bath is nice and bright with in-mirror lighting including a makeup mirror, chocolate and cream wallpaper in a Polynesian tiki print, and cream-colored porcelain tile surrounding the tub/tile area with a bamboo motif. Bath products are H2O+ Grapefruit Bergamot. 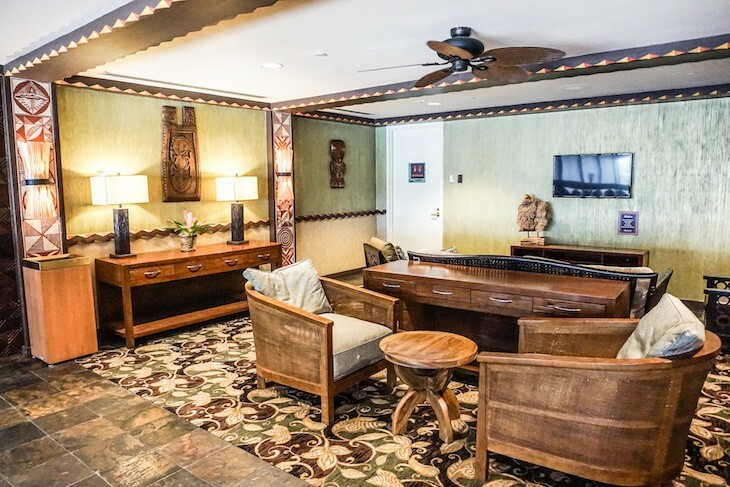 Nestled along the beach is the Hawaii concierge building offering the services of a super friendly concierge staff as well as private check-in and checkout. 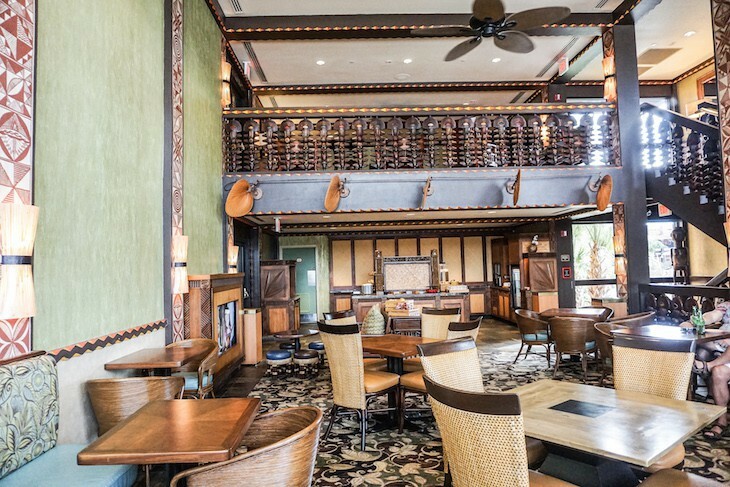 The bi-level King Kamehameha Club is among the best in Disney’s concierge repertoire, affording a fantastic view of Cinderella Castle and the Magic Kingdom fireworks with quite tasty food to boot. 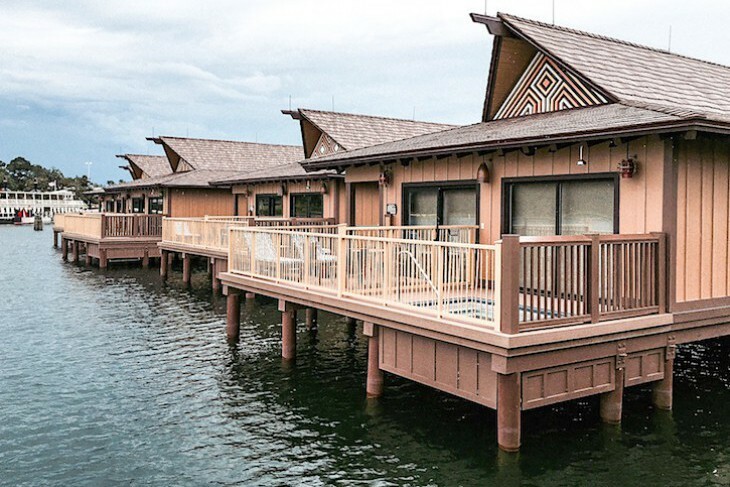 Accommodations come in either a Garden View, Lagoon View, or Theme Park View (a guaranteed view of the castle without obstructions), but second-floor rooms do not have balconies. Additional amenities include robes, DVD player, and nightly turndown service. Open from 7:00 a.m. to 10:00 p.m., the concierge lounge has complimentary food and beverages beginning with Kakahiaka, a light breakfast buffet of juice, coffee, tea, fresh fruit, hot oatmeal, cinnamon rolls, croissants, mini muffins, bagels, cereal, hard-boiled eggs, and yogurt with assorted toppings. From noon to 4:00 p.m. juice, lemonade, coffee, and iced tea are served along with snacks such as cookies, fruit kabobs, homemade potato chips and crudités with dip and hummus, trail mix, and goldfish crackers. Evening choices include a variety of fresh fruit, pineapple with caramel dipping sauce, hummus and pita bread, cheese and crackers, crudités and dip, and two appetizers such as sushi rolls, vegetable spring rolls, potato-cheese pirogies, beef and blue cheese wrapped in bacon, mushroom risotto bites, baked brie with raspberry en croute, bacon-wrapped ginger chicken, crabmeat rangoon, pork dumplings, and chicken wings. Wine choices include Hogue Chardonnay, Beringer White Zinfandel, and Canyon Ranch Merlot; also Ku’u’lei, a specialty alcoholic concoction a bit like sangria. Kids enjoy chicken corn dogs and make-it-yourself PB&J sandwiches. After dinner are cordials and mini desserts of carrot cake, Mickey moon pies, coconut macaroons, chocolate chip and oatmeal-raisin cookies, raspberry and chocolate mousse, peanut butter mousse, brownie cupcakes, cream puffs, and mini chocolate, apple, cherry, and lemon meringue tarts along with a touch of savory in homemade potato chips. There’s also a self-service espresso and cappuccino machine, and a self-serve refrigerator is always stocked with sodas. My one complaint . . . the lights in the lounge at night are so bright that you it’s almost impossible to see the view outside the windows. So instead you see your reflection. According to the concierge staff it’s a fire code requirement? They do, however, lower the lighting for the fireworks show. 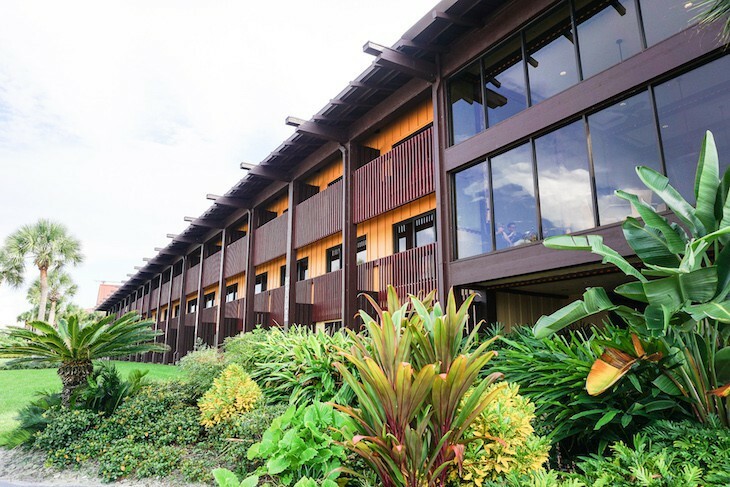 All suites are located in the intimate, two-story Tonga longhouse conveniently located adjacent to the Great Ceremonial House. 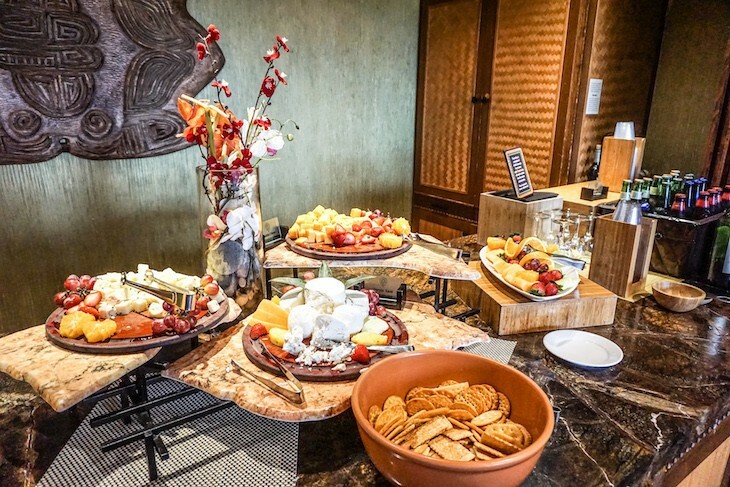 Continental breakfast, afternoon snacks, and evening cold appetizers are also served in the Tonga building along with the use of an espresso machine and a refrigerator filled with soft drinks, juice, milk, and bottled water. 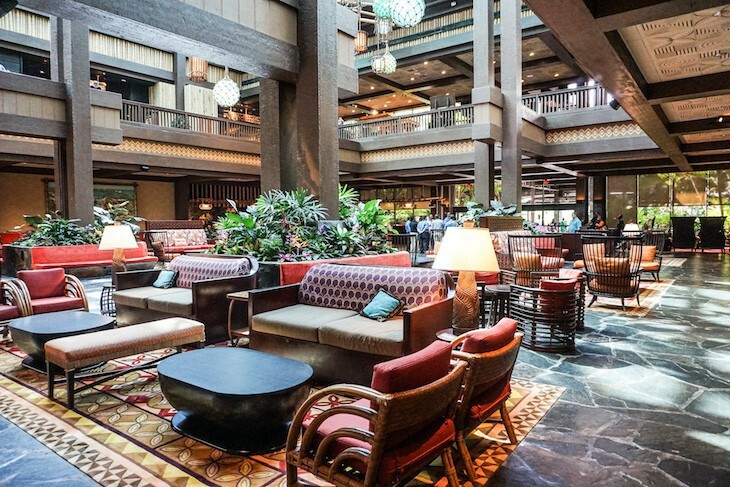 However, if oatmeal in the mornings and hot appetizers in the evening appeal then it will require a trek over to the Hawaii concierge building lounge. Another new option is the addition of a complimentary concierge menu from which you can choose hot and cold choices from a menu and have them delivered to your suite. For breakfast there's an egg platter, continental breakfast, fruit plate, or cereal, and even Tonga Toast; from 5-10 p.m. appetizer choices of a salad, pot stickers, lump crab cakes, sticky wings, vegetable nigiri, and spicy tuna rolls are the choices; and kids can pick hot dogs or hamburgers. Really a great addition to the suite amenities! And expect a bit of activity from morning until night on marina-facing suites since they front a highly trafficked sidewalk. 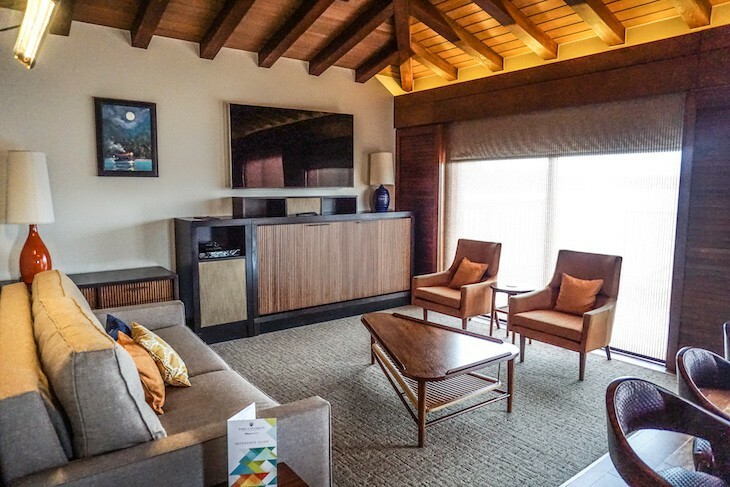 Suites have an Asian influence. 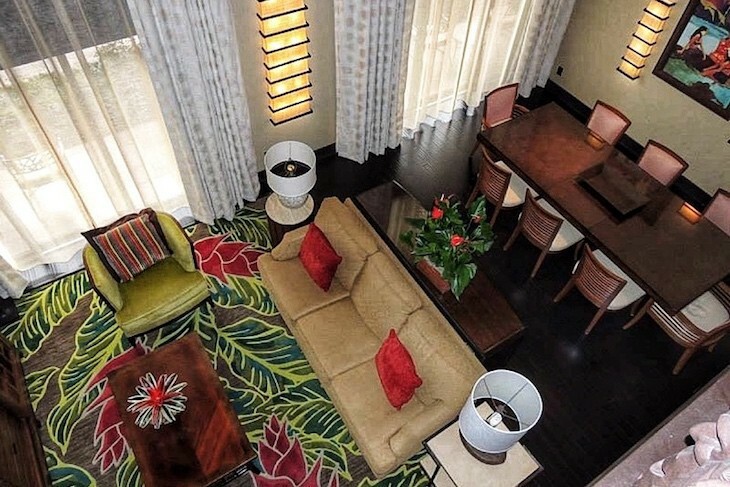 Living room area rugs vary from suite to suite with a modern bamboo pattern in neutral colors in the Ambassador Suite to a bright ginger flower motif in the King Kamehameha Suite. 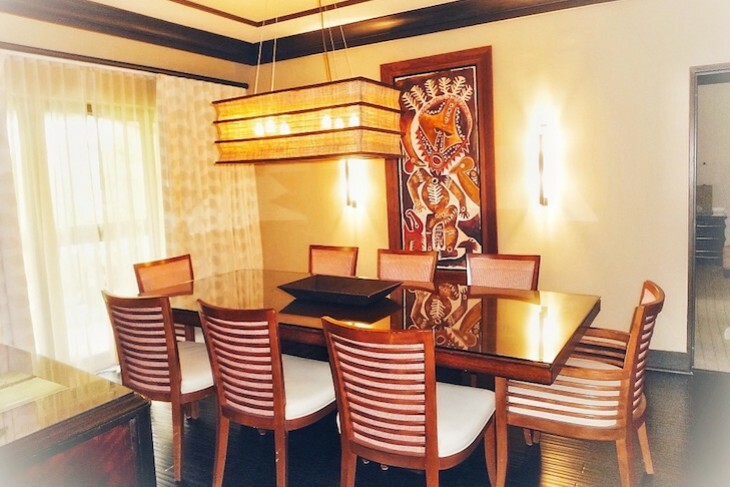 Slatted barrel chairs flank sleeper sofas, and in the dining rooms the slatted look continues in the chairs with cozy wood tables topped with fun, textile lighting in a rectangular shape. Love, love, love the bedroom fabrics and furnishings—cane and/or bamboo four-poster beds in a dark wood are complemented by white duvets, turquoise pillows and bolsters, touches of chocolate, and neutral bed runners. Drapery is neutral with delightful leaf pattern in the white-on-white sheers. 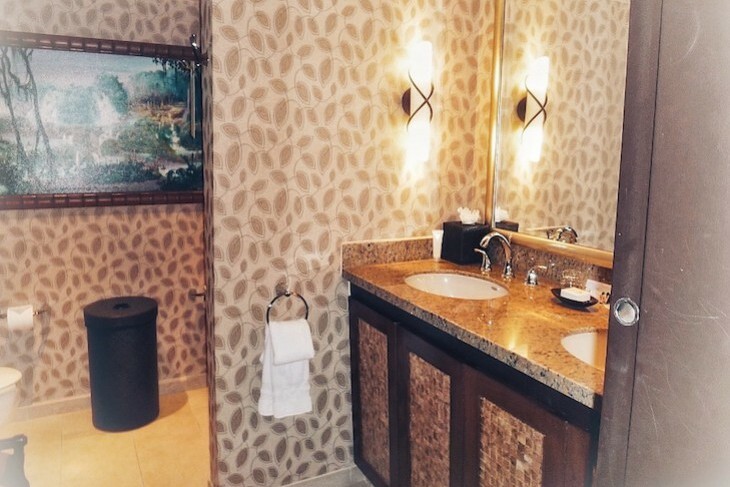 Vanities are cream-hued granite, the modern Asian-style lighting is a nice touch, framed gold mirrors, top the sinks, and my favorite addition is the sparkling glass tile fronts on the cabinets. 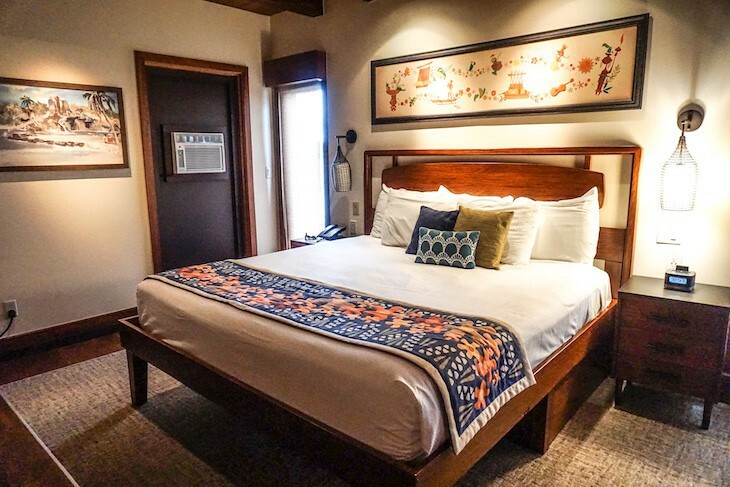 For the ultimate vacation try the King Kamehameha Presidential Suite, a two-story beauty with two bedrooms, two and a half baths, and living room. 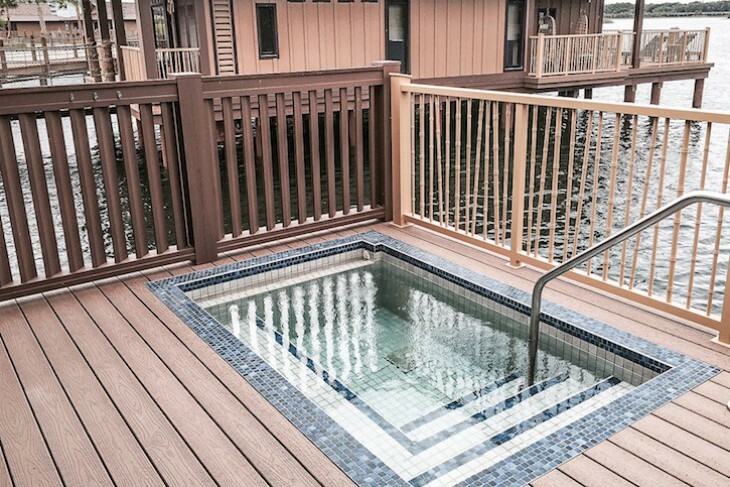 At 1,863 square feet, the upstairs master offers a balcony with views of the castle, lagoon, and marina, a dark wood and cane king bed, entertainment center, easy chair with ottoman, an enormous two-part bath with a sink, bidet, commode, whirlpool tub, TV, and walk-in closet on one side: tub, shower, sink, and commode on the other. 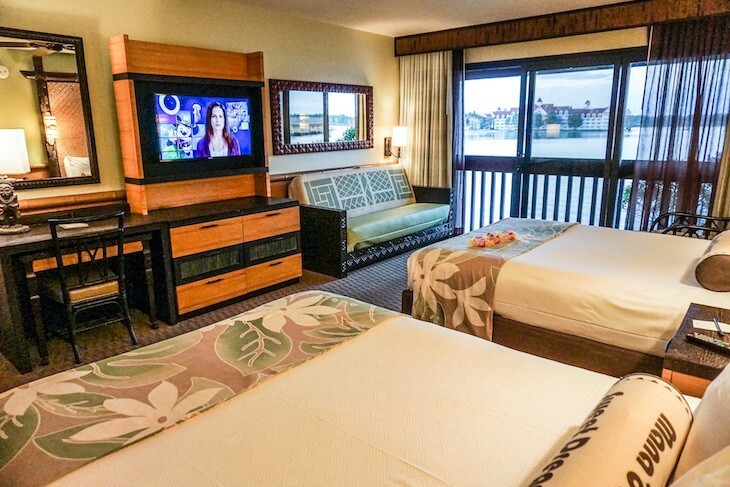 The sizeable second bedroom has two queen bamboo beds, easy chair with ottoman, entertainment center, desk, bath with double sinks and separate shower and tub as well as a balcony with a view of the marina and Space Mountain®. 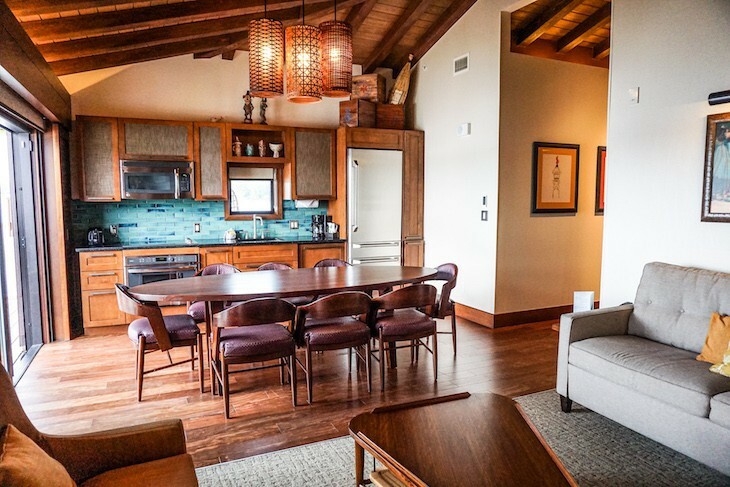 Downstairs is a comfortable living area with hardwood flooring and an oversized entertainment center, beige sleeper sofa, fern-green, rounded easy chairs, and coffee table along with a dining area with eight-person table. A bar opens to a small service kitchen with undercounter refrigerator, microwave, and dishwasher. Above are gently moving paddle fans and off the entry is a half bath. 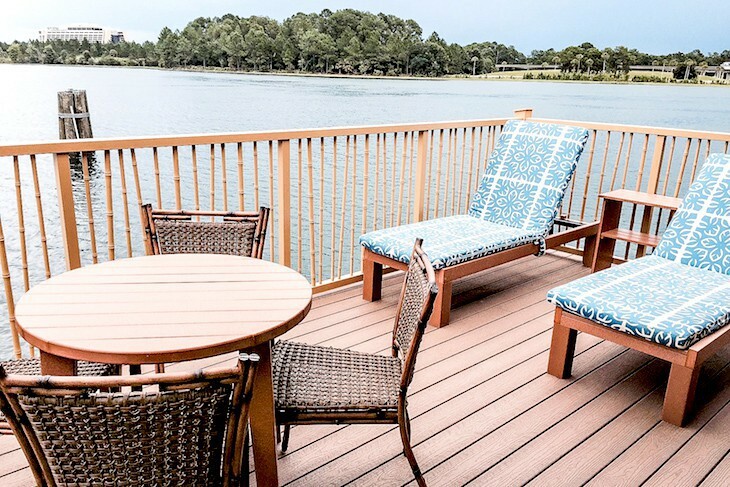 A patio spanning the length of the suite overlooks the marina, the Seven Seas Lagoon, and Cinderella Castle in the distance. 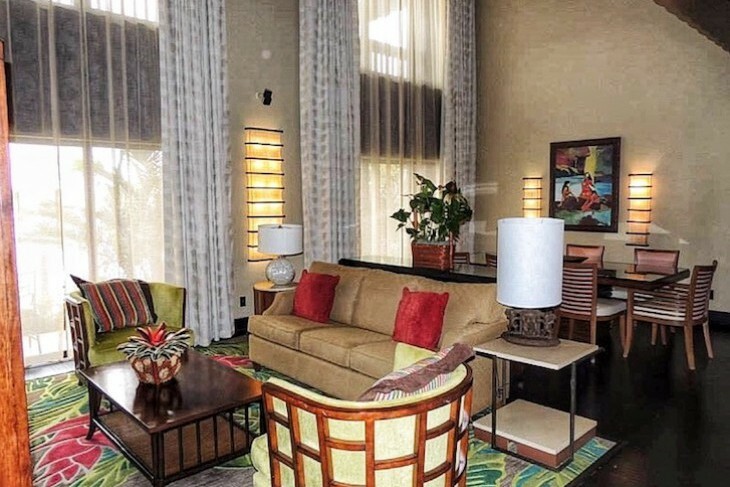 The two-bedroom, three-bath Ambassador Suites at 1,513 square feet have a living room featuring hardwood flooring, a fern motif sleeper sofa, large TV, two rounded easy chairs in a chocolate and cream graphic print, dining table for eight, sleeper sofa, large garden-view balcony or patio, wet bar, full bath off the entry, and separate kitchen with a refrigerator, microwave, and dishwasher. The oversized master features a cane king bed, entertainment armoire, easy chair and ottoman, desk, standard-size bath with two sinks, and balcony. The second bedroom is the same size as a standard guest room with two queen bamboo beds, easy chair, bureau with TV, and another balcony. 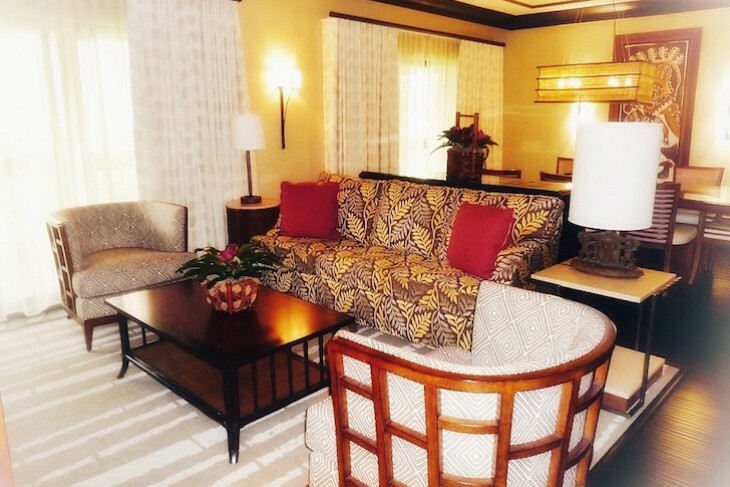 There are two Ambassador Suites: one on the first floor and one on the second with preference on request only. 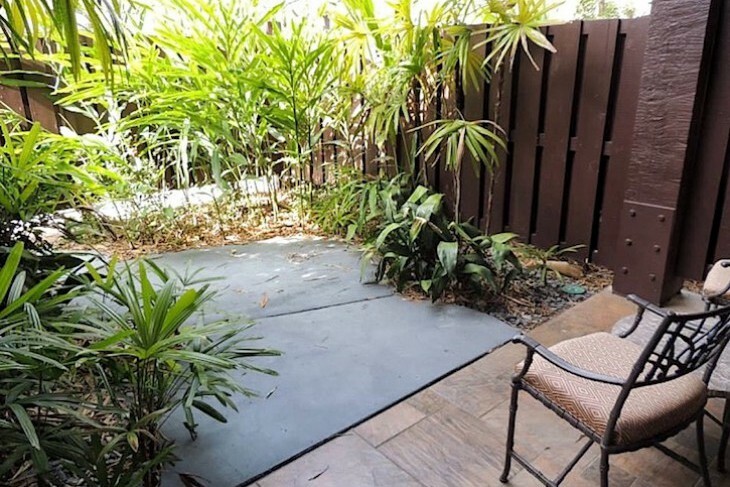 The downstairs suite faces a small fenced garden; the upstairs Ambassador II suite, which is hearing accessible, looks at a slice of the parking lot but also a lovely garden view. Both are close to and have a view of the monorail but come with much less traffic than those suites that face the marina. The marina/Cinderella Castle-view, two-bedroom/two-bath Princess Suite has 1,212 square feet and is located on the ground floor. It features a small, carpeted living area with beige sleeper sofa, rounded easy chair, and two occasional chairs in a creamy white fabric along with coffee table, oversized entertainment center, granite wet bar, and patio. Off to each side of the living area are two bedrooms, one slightly larger than the other, each with two queen beds, TV, bureau, desk, easy chair, and ottoman. 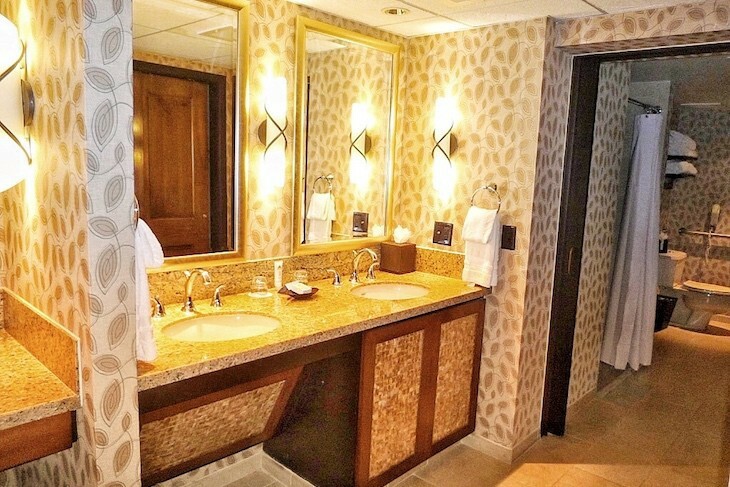 Each bedroom has a bath: one is a standard-type bath with double sinks in the larger bedroom; the other is a two-part and larger accessible bath with double-sink vanity, bathtub, and roll-in shower. 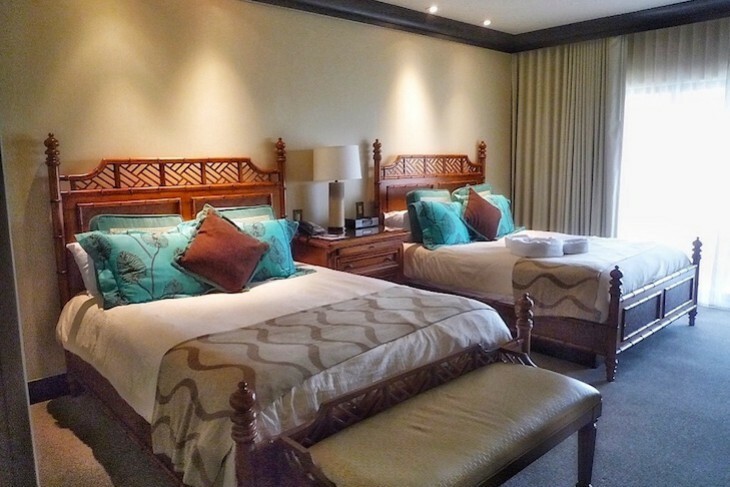 The resort’s One-Bedroom Suite is located on the second floor just above the Princess Suite with 760 square feet and is almost identical except for the elimination of one of the bedrooms. Views are of the marina, the Seven Seas Lagoon, and, in the far distance, the Castle. The Honeymoon Room is a slightly oversized standard guest room offering a marina/Space Mountain® view, canopy king bed surrounded by light white gauzy curtains and kiwi green accent pillows, easy chair and ottoman, oversized table for two, desk, large bamboo-style bureau above which hangs a large TV, and patio. The bath is found off the foyer with a corner whirlpool tub, double sinks, and shower. 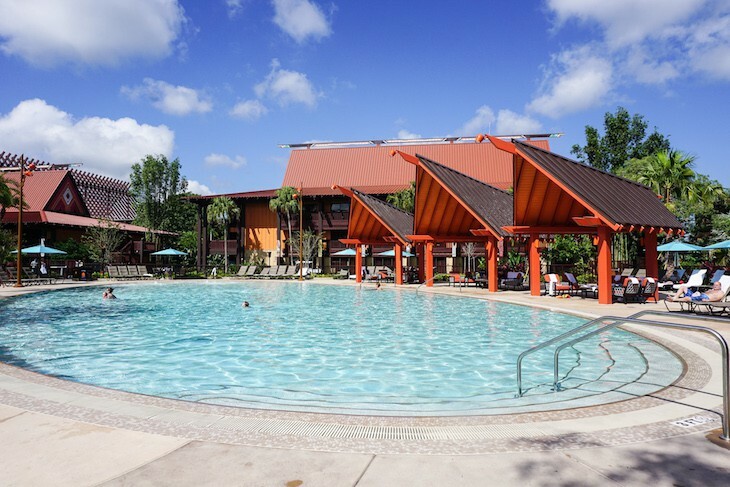 Let Us Help You in Planning Your Walt Disney World® Resort Vacation! 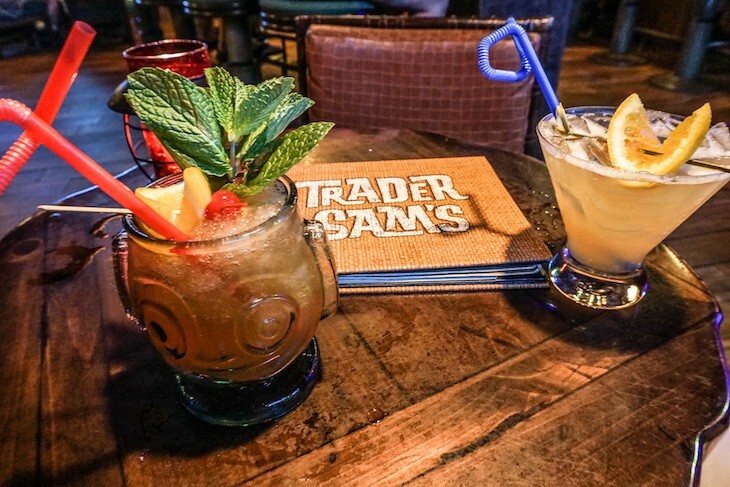 Allow me to connect you to the expert travel advisors at Glass Slipper Concierge to plan your Walt Disney World Resort vacation. Your luxury Travel Advisor and Disney Destinations expert will work with you to create the perfectly planned trip of a lifetime, making sure that nothing is left to chance.